This season has seen a paradigm shift in how I view both game modes, as I have transitioned over to PES after several years of FIFA gameplay. This year, the issues over on EA’s cash cow have been nothing short of astronomic, with exploits, cheating, ‘scripting’ and ‘handicapping’ (I will return to the latter two issues later) plaguing Fifa Ultimate Team like never before. First, the exploits: coin selling is big business on FUT. Unscrupulous, anonymous websites have sprung up all over the web, promoted by you tubers mainly (in return for kick-backs presumably) and have caused massive inflation of the virtual cards. This has been caused in two ways: ‘harvesting’ of player cards – automated bots buy up all available cards of the same player and then once they have cornered the market, re-list the player at a vastly inflated price. The second way they inflate prices is by selling the coins they have harvested (for real-world money) and then, as buyers (read: cheaters) flood the market armed with millions of coins, the auctions for top players go through the roof. Ronaldo (Team of the Year version rated 99) was north of 15,000,000 coins a few weeks ago! This, I am sure, has forced a lot of people off of FUT, and perhaps off the game completely; it certainly did for me. Seeing my 2/1 record (win/loss) drop to 1/3 since Christmas, when prices of online coins were tumbling, leading to being matched up with teams consisting of Messi, Ronaldo, Ibra et al (very often in the same team!) turned what was already a very flawed game into a complete debacle. I traded it in for Forza Horizon 2, as I had already purchased PES 2015 just before Christmas, just to see how it matched up to FIFA…. And match up it did. I will leave the gameplay and modes to one side, and concentrate on myClub. The differences are vast, so I will start with what is similar/same between the two modes… it is about building your ‘ultimate’ team of course, and it involves an element of luck and randomness to how you acquire players for your team. Both modes also allow for real-world purchases of in-game currency. Firstly, myClub has no transfer market. And for me that is a good thing. 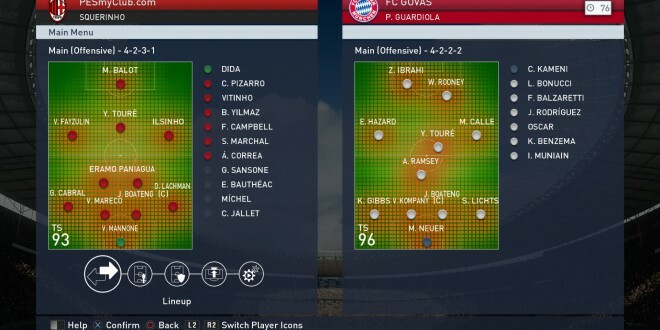 It leads to more interesting teams, with a real mix of styles and formations (based on which manager you plump for) and compared to FUT, it is nice to NOT see ‘sweaty’ BPL/LA LIGA/BUNDESLIGA teams consisting of the same old faces every other game you play. I really hope that Konami resist the temptation to introduce a market, or if they do it is very strictly governed to avoid the horrific mess over at EA HQ. Secondly, you have a much better chance of scoring an elite player compared to FUT, which appears to be completely random, with very low odds of scoring a top player. And additionally, you can improve those odds by use of multiple agents. I like this idea, but feel the balance isn’t quite right yet… collecting three top agents should offer a much better chance of getting a black ball, but that’s a discussion for another time also! 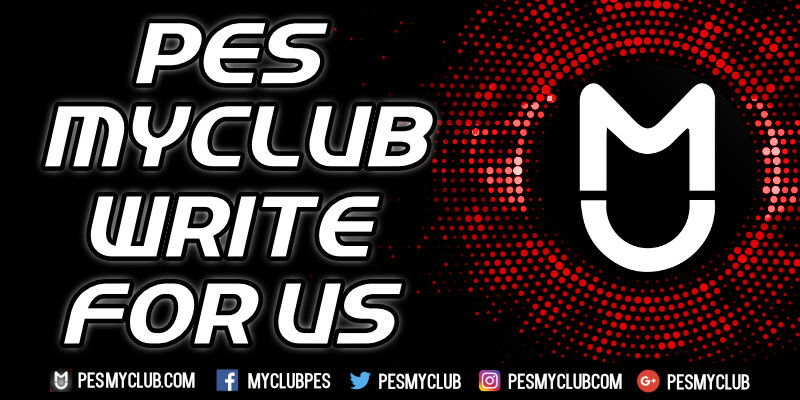 Thirdly, and most importantly perhaps, rewards for winning games and competitions in myClub are much better than FUT, and looking at how Konami are utilising the Champions League within its reward structure is a good indication of where the company wants to take myClub, and I for one applaud them for it. So, that’s my view on the FUT vs. myClub debate. With continual improvements, and some tweaking of the power of agents within the game, I can see myClub being a FUT killer within a very short space of time.